ICC Chemical Corporation @ ChemBuyersGuide.com, Inc.
ICC Chemical Corporation is an integral part of the ICC Industries Inc. (www.iccindustries.com) group of companies. 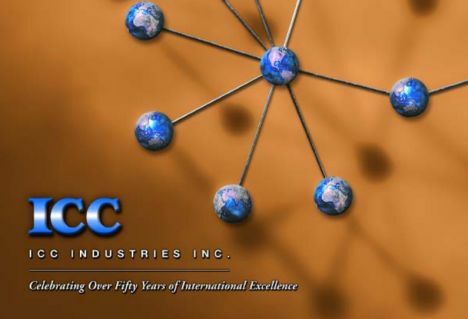 ICC Chemical Corporation trades and distributes chemicals, plastics and pharmaceuticals, always acting as a principal, never as a broker, continuing a tradition that began more than fifty years ago. Headquartered in New York City, with thirty offices and representatives worldwide, ICC Chemical Corporation serves markets in the Americas, Europe, Asia, the Middle East and Africa. Clients are served rapidly and efficiently through ever-changing international markets, diverse political, cultural and economic climates, foreign exchange rate movements, and supply and demand fluctuations. ICC's thorough understanding of international trade and diverse cultures,logistics and banking practices, and regulatory and environmental issues relieves its clients of many of the difficulties associated with international trade. In addition to its trading activities, the ICC group includes a number of manufacturing operations with diverse products and geographical locations. These are Dover Chemical Corporation (www.doverchem.com), based in Dover, Ohio, a chemical producer serving the metal-working, coating, adhesive, sealant, plastic, rubber and flame retardant industries; Primex Plastics Corporation and its subsidiaries, headquartered in Richmond, Indiana (www.primexplastics.com), a leader in the custom plastic sheet extrusion industry in the United States; Frutarom Industries Ltd. (www.frutarom.com), a multinational flavor and fragrance company headquartered in Israel; and S.C. Azur S.A. (www.azur.ro), one of the largest paint and lacquer producers in Romania. In the event that you do not see the country, geographical region or product you are seeking on our site, please contact our headquarters in New York City for prompt assistance.